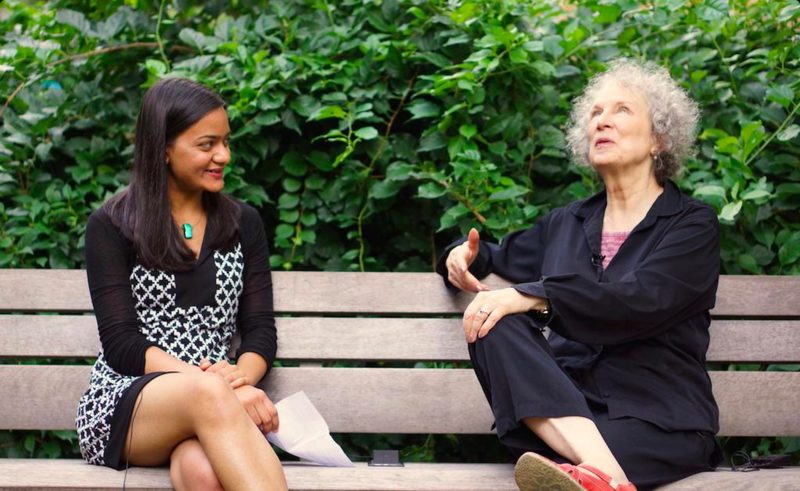 I had a delightful chat, partly in the pouring rain, with the brilliant Margaret Atwood about climate change for 400PPM. @MBurhanpurkar : I was enlightened too. Also enwettened. In this pic I am doing the Rain Petition. Good luck with all your projects!